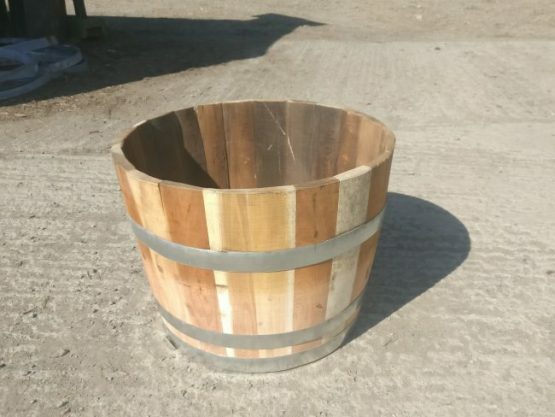 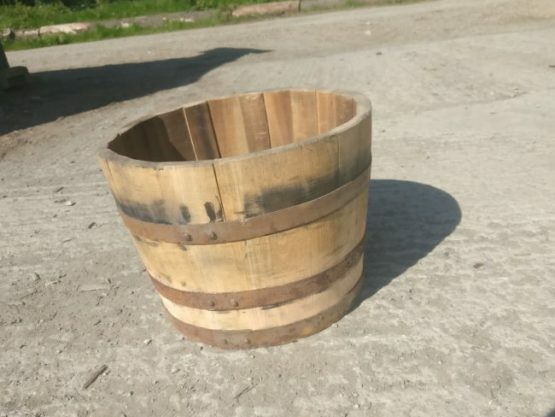 Brand New Acacia/Chestnut half barrel planters, perfect for plants, trees, herbs or storage. 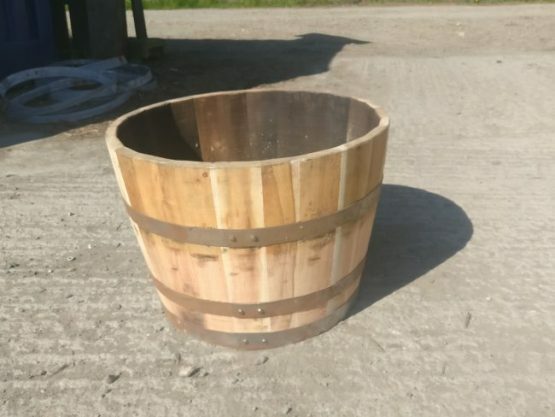 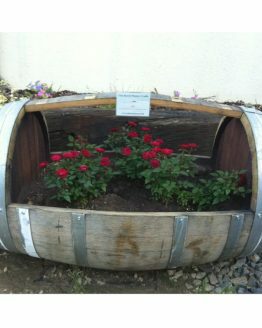 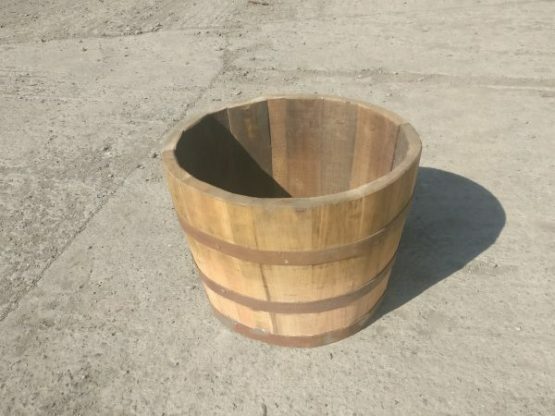 Celtic Timber’s Acacia/Chestnut half barrel planters are extremely high quality and eye pleasing planters, constructed from wood using traditional European coopering methods. 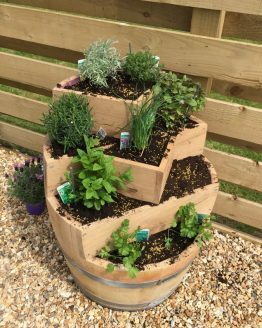 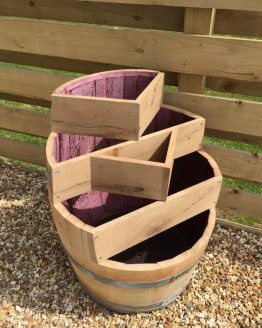 The wood on these planters measures 30mm thick and is held together by solid galvanised bands that protect the staves and prevent rust from rain and weather. 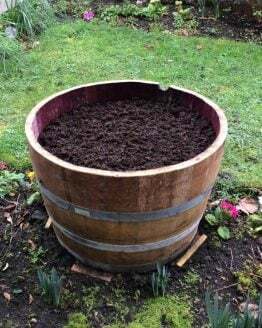 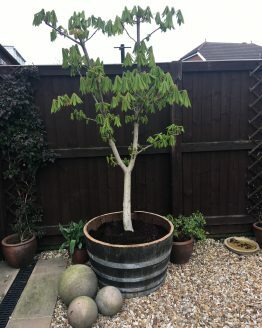 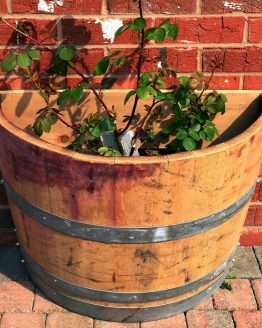 If you would like to add some solid character to your garden or outdoor space then we recommend the Acacia/Chestnut half-barrel planter. 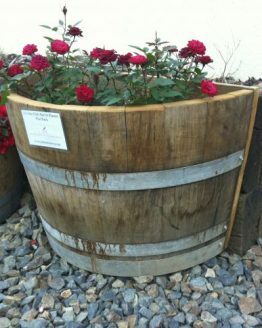 Please note price is per piece and you will need to add drainage holes after purchase.